Congratulations to our own Head of Advertising Ian Thomson, for winning the award for Best Surf Film at the Byron Bay International Film Festival. Macleay College prides itself on the fact that many of its lecturers are awarded professionals in their fields. 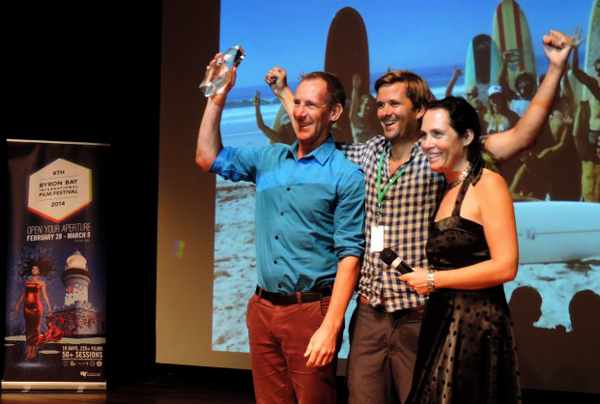 This in mind, the college is proud to announce that the head of the advertising faculty, Ian Thomson has recently won the award for Best Surf Film at the Byron Bay International Film Festival. This follows winning the Best Documentary Award at the Sydney Mardi Gras Festival for his film “OUT in the Line-Up”. Ian has worked for many years as a writer and director for advertising and is now extending his know-how into long format film-making. The advertising students at Macleay College get the chance to learn from some of Ian’s international experience and hands-on experience as a director for film and advertising. Previous PostAdvertising Scholarship winner Patricia TamayoNext PostWhat’s in a Kiss?